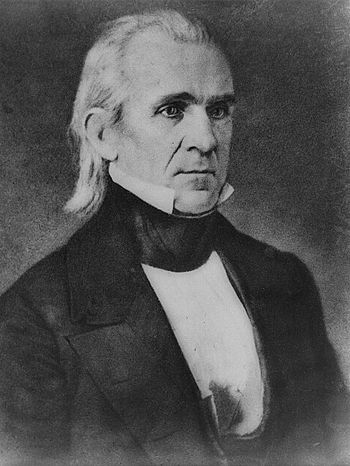 James Knox Polk, President of the USA, was born 2 November 1795 in Pineville, Mecklenburg County, North Carolina, United States to Samuel Ezekiel Polk (1772-1827) and Jane Gracey Knox (1776-1852) and died 15 June 1849 in Nashville, Davidson County, Tennessee, United States of cholera. He married Sarah Childress (1803-1891) 1 January 1824 . Ancestors are from the United States. For a detailed biography, see the Biography tab.